Kemp then “moved on” to say, “but look, it’s unfair for [Abrams] to blame especially local elections officials that are following the law,” and that it was actually “easy to vote” in a state where people waited in line for hours only to encounter broken voting machines. Kemp also said that Abrams was “blaming me” for a problem that Democrats created, not Kemp, who literally oversaw the state office in charge of voting. Abrams also announced that she is going to file a federal lawsuit against the way the election was handled by the state, and that she plans to run for office again sometime in the future. 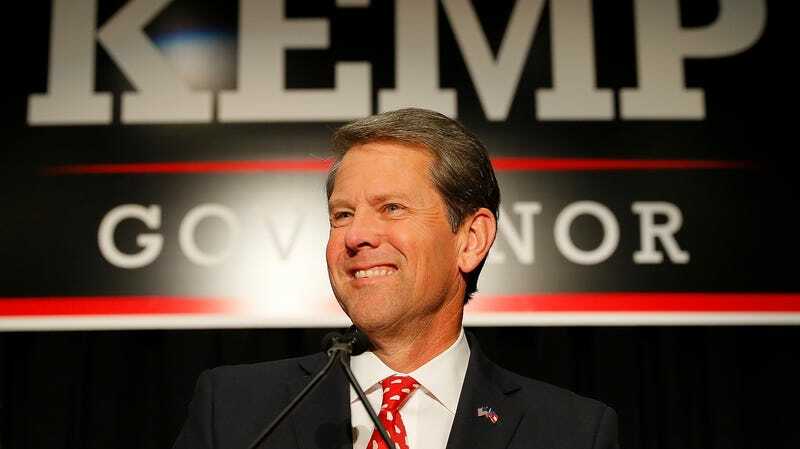 “The process worked,” Kemp said of the state’s election rules, which he oversees. I guess it did.